Reesey Byers (former Santa Rosa HS runner) finished 2nd in his 5000m. heat running 14:19.01 in his 5k debut. That time broke the Sacramento State school record. Any other notable college times for former Northern California HS runners from the Stanford Invite? Will post them once they are online. Looks like we are going to get lucky with the rain today. It's been quite a while since it's rained during the Stanford Invitational and if they can avoid the rain during this entire weekend, it will be a miracle. For now, it's blue skies with a few clouds. So, any predictions for today? Who is going to post the fastest time for the boys 3000m.? Girls' 3000m.? Who is going to win the boys' DMR? Girls' DMR? Who is somebody flying under the radar right now but after Stanford will be a known commodity? If you have any photos and or videos that I can link on our website, please let me know. Thanks again for coming! 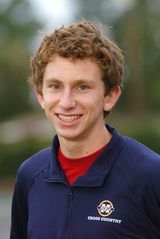 Today we chat with Urban High School runner, Cole Williams (pictured to the left courtesy of www.sportsimagewire.com). Last year, Cole qualified to the California State Meet in the 800m. by placing 2nd at the North Coast Section MOC with a time of 1:54.01. This past season in cross country, Cole led his Urban teammates to their first NCS XC section title by winning the individual title. He went on to finish 2nd at the state meet in the Division V race. His 1:55.41 800m. time currently ranks as the 3rd fastest time in the state to date. 1) What other sports have you participated in besides Cross Country and Track and Field? I played a lot of soccer from when I was little all the way through sophomore year. I made the varsity team during my freshman year. I enjoyed playing team sports and I still enjoy playing football and soccer with my friends. As I got older practice became more serious and it became evident that I did not have the necessary skills to play competitively at a high level. I ran cross-country for 4 years in elementary and middle school. I performed pretty well with minimal training. But when I got to high school I decided to focus on soccer. In the end it was my mom, a runner herself, who persuaded me to try track during the spring of my sophomore year. My mom ran in high school and more recently has run three Boston marathons. 3) When did you first start running cross country in high school? What was your first success in the sport? I started running cross-country during my Junior year. The first meet in which I excelled was the Stanford Invitational. I believe I ran a 15:56 and placed 6th. I was very satisfied with my time and performance, and it gave me confidence for the rest of the season. 4) Same questions for Track and Field. I started running track during the spring of my sophomore year. I had a lot of success, that year in the mile, the 800 and the 1600m. relay. I performed well during the beginning of the season and I was able to make it to the NCS Class A meet in Santa Rosa that year. One race I remember distinctly from that season was frosh-soph 800 that I ran in Santa Clara. I won the race and was very proud of my time, but I also really enjoyed that race and the way in which I won it. 5) You attend a very small school with no track on campus. Describe some of the adaptations that you and your team have had to make to still get in the necessary training. I think the dedicated runners on the team train just as hard as other athletes at big schools. That said, although we currently have 30 athletes on the team right now, there might be some days where there are only 5 or 6 of us. This means that the team can be easily affected by absences and injury. 6) Who is your coach and how has he helped you become the runner you are today? Bill is a great coach, but also a great friend. It is evident in his wise approach that he has had many past lives. He has a great sense of humor, and I love to pull is leg. He will get you good too, if his deadpan pan face doesn’t give way to his impish grin. On the coaching side of things Bill really know his stuff. He knows how to plan workouts over the course of the week and the season to get us fit for important races. You might not know this at first glance, but Bill really has that “go get ‘em” attitude, and I love that about him. I love running for Bill for many reasons, but nothing is better than the childish excitement he gets when we do well. Bill and I have learned a lot about each other over the course past three years. We have now come to a point where he knows when to push me and when to step back. I will certainly miss him when I go away to college next year. 7) You qualified for the state meet last year as a junior. What did you learn from the experience and how do you think that could potentially help you for your current senior season? State last year was a very good experience for me. Although I didn’t run how I had hoped, It taught me a lot about how mentally and physically prepared I need to be to run a that level. 8) What workouts have you done on the track that you feel have helped you the most with your 800m. racing? There are many workouts that have helped me with endurance and strength. Most recently the workout that has helped me the most is probably 600m repeats done with short breaks. It’s a punishing workout that works on both strength and endurance. 9) You ran 4:31.74 as sophomore in the 1600m. What led you to make the change to specialize in the 800m. as a junior? The biggest thing for me was that I enjoyed the 800 more than the 1600. The 1600 is a tough race and think I could potentially do well running it. However, because I did not enjoy it as much, the want to run it well was not there. I think with my speed I am better suited for the 800. 10) If you could identify the keys to being a good distance runner, what would those be? Physical endurance but more importantly mental endurance is needed to be a good distance runner. Depending on the race you need to know how to run an evenly paced race. You have to have a connection between the body and the mind in order to understand how fast you can run without crashing. 11) Have you decided where you are doing to college yet and if you haven't, how much will the two sports influence your decision? I will be deciding in the next couple of weeks. Running is going to influence my decision, however I have applied to mainly division 3 schools, and I am looking to pursue my other passions as well. Thanks for interview, I appreciate you giving me this opportunity. Today we chat with Menlo School senior, Sam Parker (pictured to the left courtesy of paloaltoonline.com). Sam has been one of the top runners in the West Bay Athletic League (WBAL) for the past three years but last weekend at the K-Bell Invitational, his double victory in the 800m. (1:55.67) and the 400m. an hour and a half later in 50.58, put him in the mix for the state track championship in either event. Sam led the Knights the past two season to the league team championship in cross country as well as qualified for the state meet as an individual in Division IV in 2010. He qualified for the CCS track and field trials as a sophomore (1600m.) and junior (1600m. and 800m. ), just narrowly qualifying to the CCS finals last year in the 1600m. 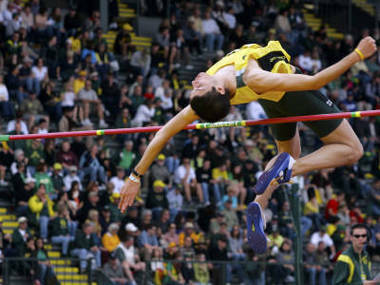 1) Besides cross country and track and field, what other sports have you participated in during and before high school? I have played soccer since I was 5. I actually started track and cross country just to stay in shape for soccer, and it wasn't until my junior cross country season that I realized it was the other way around. 2) When did you first participate in xc and track and field and who inspired you to get into either or both sports? What were some of your first recollections in both sports as a freshman? I started cross country at the insistence of my friend Lowry Yankwich, who has been by teammate for 4 years of cross country and soccer and 2 years of track and field. I chose to play tennis freshman year, but started track as a sophomore and am certainly glad I switched. As an underclassman, I remember both teams being very relaxed and easygoing, which was great at practice, but didn't make us very competitive. It wasn't until my junior season of cross country that we began focusing on results. 3) When did you first realize that you had the talent to do compete with some of the best runners in both sports? It's really been a gradual progression. In track season as a sophomore I was finishing near the front of my races, and realized I could be competitive in our league. 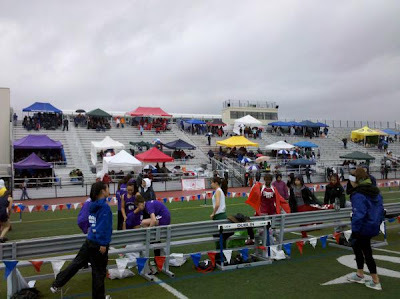 I qualified for CCS in the 1600 and didn't finish last in my heat, which I took to be a great sign. Since then, as I've improved each season, I keep realizing how far I can push myself. As a senior I did alright at States in cross country, and now hope to be even better at track. 4) Looking back at your senior cross country season, what do you feel was your best race of the season? 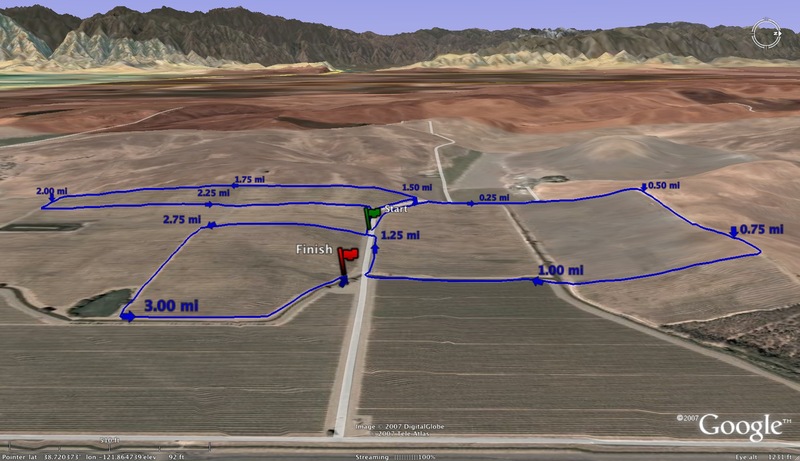 The Stanford Invitational, which was completely flat this year, was a great race for me. I ran well tactically and was very happy with my 16:28. That race gave me a lot of confidence for the rest of the season, and I took it as a challenge to keep running that well in every race afterward. 5) You ran 20:26 as freshman on the Crystal Springs course in the PAL and 16:05.9 as a senior in the WBAL. If you can identify a few keys for your improvement over four years, what would those be? I think that 30% of that improvement can be attributed to a change in mindset. Firstly, races no longer became a slog but an opportunity to put turn my training into results, and secondly, it wasn't until the summer before my senior year that I started training over the summer. But honestly, 70% of the change was just physically maturing from 5'6 and skinny to 6'1 and slightly-less-skinny. 6) Couple more xc questions. Favorite course? Favorite race? Favorite competitor? Favorite run? Favorite workout? Longest run? 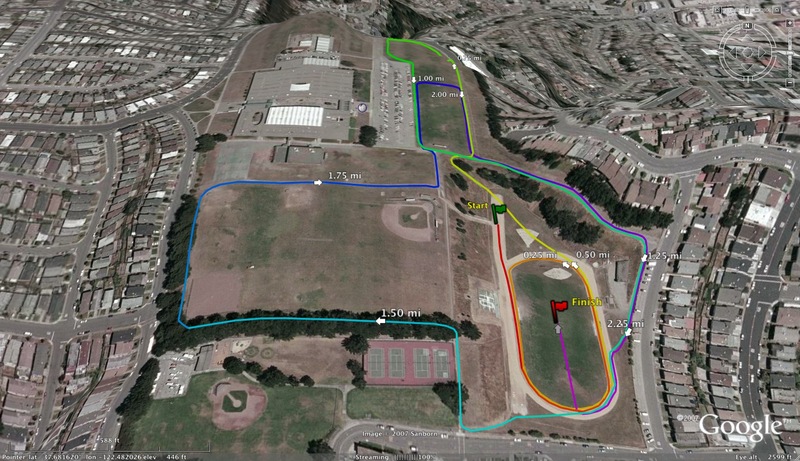 Favorite course: Golden Gate Park at the Lowell Invitational. 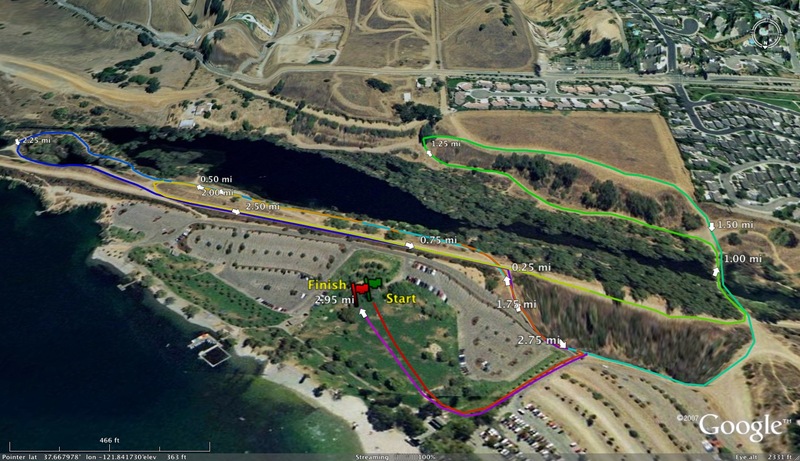 Usually great weather, not too much elevation, and a great finish. 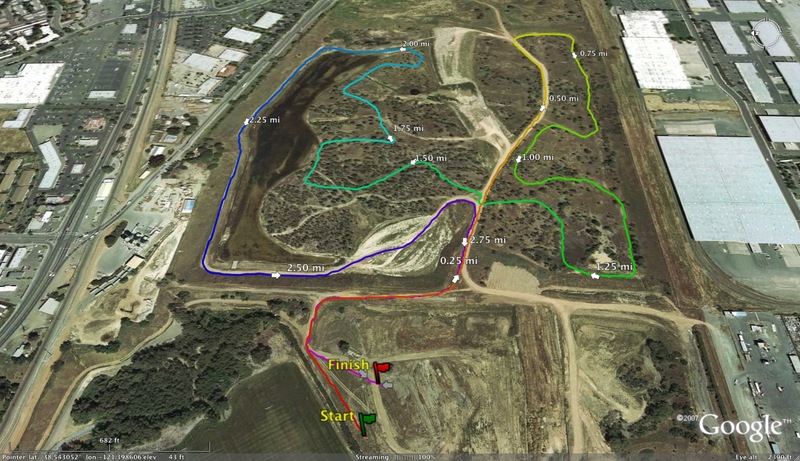 Favorite race: A tie between WBAL #1 at San Bruno Mountain in 2009, the first time I won an xc race, and the 2010 CIF State Championships in Fresno, because it's fun to run against the best competition available. 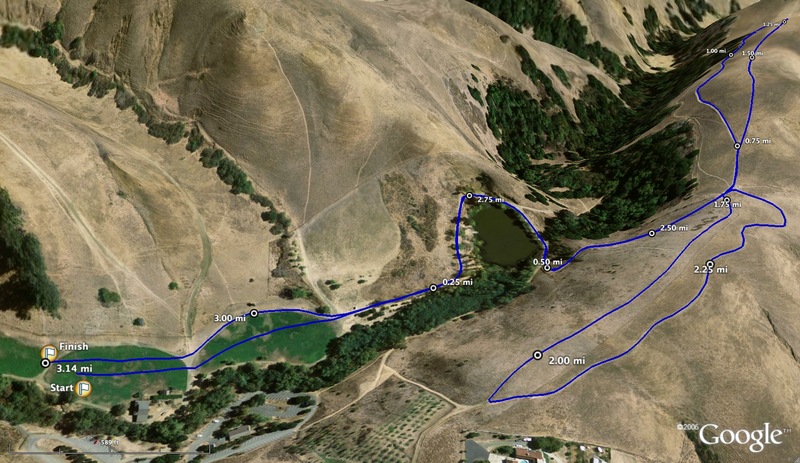 Favorite run: A loop from Menlo to Atherton Hill and back. 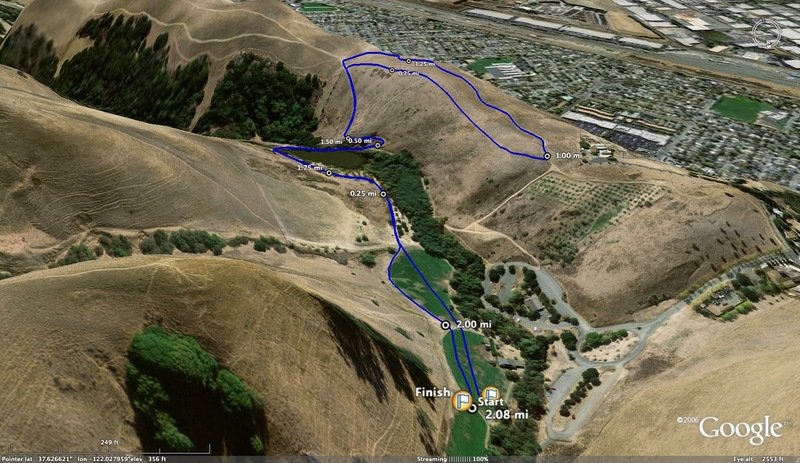 5 miles with a little elevation that can be used as a recovery or a tempo run. Favorite workout: 12 400s. As a speed guy, it's nice to show off sometimes. 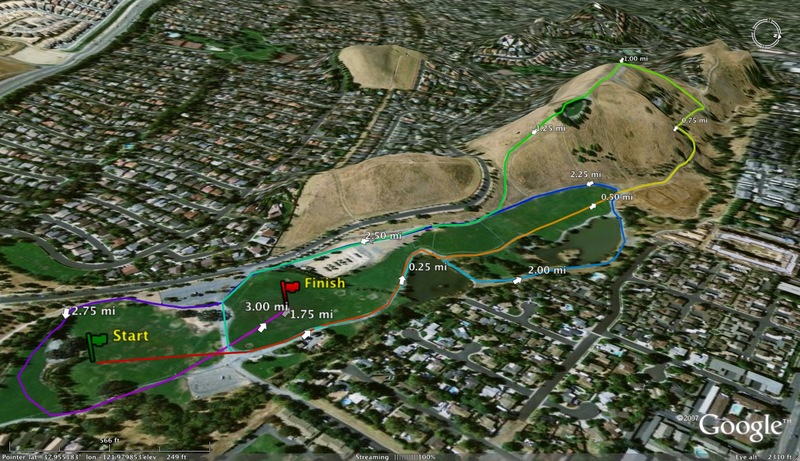 Longest run: 12.2 miles around Stanford and through Atherton on a Sunday afternoon in the rain. 7) Looking back at your three years on the track and field team, what do you feel was your best race and time? My best race before this season was the 800m in WBAL #2 last season, where I set a PR of 2:01 by kicking past Arnaud Kpchavi of Woodside Priory, an excellent 800 runner. In the K-Bell Invitational to open this season I ran a 1:55.67 in the 800, shattering my PR, so it's hard to say that hasn't been my best overall. 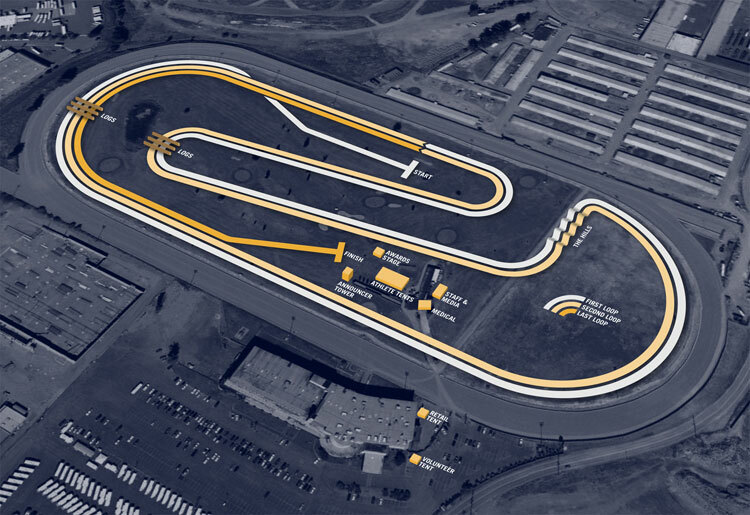 8) What would you say is your favorite race distance on the track and why? The self-preservation part of my brain wants to say the 400 because it's over the most quickly and sprints are just more fun. But the rest of my mind says the 800, because in addition to it being my best event, I always take a little pleasure in realizing that I have a little more juice in my legs for the final kick than everyone else. Although if you asked me right after I finished an 800, I would probably rank it behind the 100k. 9) What are some of your toughest track workouts that you feel best prepare you for your races? It's hard to tell which specific workouts pay off in races and which don't, but I've found some success in speed work, just 200s and 400s, a couple days before a race to remind my legs how to move quickly. 10) Who are your coaches and how have they helped you develop in the runner you are today? I have had the privilege of working with at least six coaches in the context of my Menlo teams, plus a good friend named Richard Morrissey who has provided years of support and suggestions for my running. Of my official coaches, Donoson Fitzgerald and Jorge Chen have been there for every cross country and track season, and their vast experience has been invaluable to me. 11) Last week, you were a double victor at K-Bell winning the 800m and 400m. 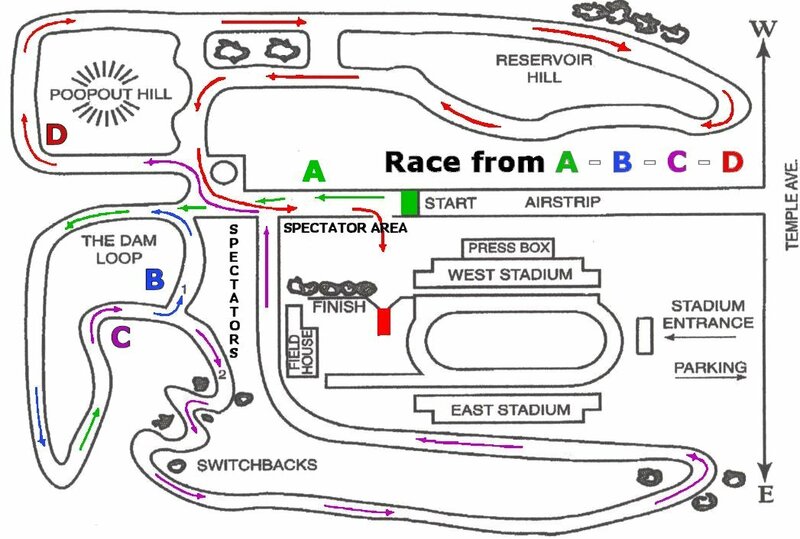 What were your goals and/or strategy going into both those races? I had little to no strategy, and a loose goal of running a 2:03 or below in the 800. I am still trying to wrap my head around the idea that I PR'd in both races and ran a 1:55.67 in the 800 in the first race of the season. I will use those results to dictate my strategy for the rest of the year, but coming into those races, I was really just looking to find out what kind of shape I was in. 12) For someone just starting out as a runner, what would your advice be to them if they have goals to be successful in either sport? The most important thing is to decide how far you want to go, set some serious goals, and start working towards them on day 1. As a freshman I had no real motivation, and therefore had no success. It wasn't until this last September that I really wanted to go to the State meet for cross country, and because it took me so long to come around, I only got the opportunity once. Meanwhile, we have a freshman this year who has already made it his goal to compete at States as a sophomore (he was upset he didn't make it as a freshman) and win it as a senior. With his mindset, there's no reason he can't follow through. Please let me know if you know of any other deserving athletes/coaches that you would like to see interviewed. Tough to run fast times yesterday but what was the most impressive performance yesterday? What is the most impressive leading mark from both the running and field events? Most impressive leading mark to date? Who is going to be a state meet podium (top 6) contender? Here is an interview I posted with Castro Valley's Ben Eversole on July 27, 2010. His stellar 9:08.35 at the Dan Gabor Distance Festival is the 3rd fastest 3200m. time in California behind Christopher Brewer of Rancho Buena Vista (8:59.68) and Matt Carpowich of Torrey Pines (9:07.47). If you have any individual splits for some of the top teams from today's competition, feel free to add them to the comment section below. So far I have Cole Williams of Urban who split 49.7 and 1:54.5 for his relay splits. Ned Tannenbaum of University split 3:07.5 to lead the 1200 legs in the boys DMR. Any other splits? Video of final two heats of the boys' 1600m. Some great efforts tonight highlighted by Carrie Verdon of Campolindo running 10:39.86 and Ben Eversole of Castro Valley who ran 9:08.35. Both marks were meet records. Jenna Pianin of Amador Valley broke the other meet record in the girls' 1600m. with a time of 5:12.30. Most anticipated race for either day? It is hard to believe that 2011 makes it now 15 years since we lost Daniel Kirk Gabor in the TWA Flight 800 disaster. Dan—the 1987 CIF State 800m Champion— is Amador Valley High School’s only state champion in any sport, but regardless of whether or not that distinction fades away, the legacy of his ferocity, grit, and flair will remain timeless. After all, isn’t that the goal of any track athlete—to be as close to timeless as possible? On this Friday night, March 11th, hundreds of high school runners from all over the Bay Area and Northern California will converge upon Amador Valley High School to chase the spirit and timelessness of Dan Gabor. The first event of the day features a Who’s Who of young and up-and-coming talent in the distances. There are 11 heats of the Girls 1600m headlined by the hot heat that holds 19 young women who will be pursuing one another but also the 2008 meet record of 5:15.98 held by College Park’s Alycia Cridebring—now a freshman at UC Davis. At the top of the list in this event is a stunning triumvirate of Lauren Kraus (Maria Carrillo), Jena Pianin (Amador Valley), and Spencer Moore (St. Mary’s-Berkeley). Kraus, a sophomore, has been a force out of the North Bay and most recently capped her fall cross country season with a blistering 18:28-clocking to capture 13th place in the Div. III State Championships. As a freshman last spring, she notched PBs of 5:09/ 11:14 in the 1600/3200 events and she opened her outdoor campaign this year last Saturday with a time of 5:18.58 at the Big Cat Invitational. It’s always nice to put on a meet and have a hometown hero in the hunt, and that is what the host Amador Valley Dons has in one Jena Pianin. This talented young lady, also a sophomore, enjoyed a banner year as a freshman for the Purple and Gold, collecting PBs of 5:13/11:04 for the 1600/3200 races. She was a state meet qualifier this last fall in cross country, and she has already stopped the clocks at 11:24 and change in the Dons early season scrimmage. 19 Heats. 390 competitors. The Boys 1600m race is the largest event in entire two- day meet and it comes down to a fast heat of 21 young men who are poised to make some noise as the sun goes down over Pleasanton on Friday night. The event record of 4:19.23—set in 2009 by San Ramon Valley’s Sean Colaco—seems a tantalizing goal to dangle in front of these horses, with as many as 8-10 guys in the hunt for top honors on this evening. Leading the seeding is Del Campo (Sacramento) senior Robert Pflasterer—sporting a 4:20.50 PB from one year ago. Pflasterer is also coming off a great fall season where he rolled to a 15:35-clocking in the Div. II State Championships to grab a top- 15 finish. Next up is Miramonte junior Jamie Fehrnstrom who just missed cracking the 4:20 barrier a year ago at the NCS Meet of Champions when he stopped the clocks at 4:20.11. He has already opened his season with a fine 1:58 and change effort in the 800m at the Skyline Inviational, so he should be ready to mix it up in this one. Anthony Martore of Castro Valley enjoyed a fine winter break, showing up at the Cal All-Comer’s Meet to register a sub-4:24 mark en route to qualifying for the Indoor State Meet. Martore, a senior, also posted some excellent times over the 800m distance last spring—most notably a 1:56.50, which makes him a top-10 returner in that event in the NCS. From the other side of the bay come two WCAL foes—St. Ignatius’ Ciaran Murphy and Sacred Heart Cathedral’s Jarrett Moore. Murphy, only a sophomore, quietly posted a 1:58.90 800m time as a freshman last spring and looks to expand his horizons in this event on Friday night, while Moore—a top-5 returner in the 800m in the CCS with a 1:57.94 clocking in 2010—will be looking to do the same. Perhaps the most deadly duo on the evening comes in the form of the College Park Falcons’ Jeff Bickert and Anthony Ortolan. Bickert and Ortolan were monsters in the fall, rolling to times of 15:16 and 15:30 respectively on the state meet course. Bickert, known more for his prowess in the longer events, is stepping down in distance to test his mettle, while Ortolan—a state meet qualifier last spring in the 800m (PB of 1:54.12)—might just be the most dangerous guy on the track. That dynamic duo is frightening, but the next two guys make Del Campo into a terrifying trio, as Jordan Rushing and Jack Nevins complete the perfect storm for the boys from Sacramento. Rushing—15:45 at the state meet this last fall—and Nevins—15:42 in the same race—will bring their over-distance strength to the table as they look to challenge the best the bay has to offer. School track just one week ago in the DMR with a 1200m leg that was timed in 3:08. That kind of effort is no fluke, so look for this Mustang to rear up and get after it on Friday night. The meet record in this event (2:12.76) is held by former-Carlmont great Justine Fedronic, and it does not appear to be in jeopardy—although this is a fine field of 800m runners. Headlining the show will be Katie Berge of Acalanes. Berge—a state meet qualifier last year in the 800m and 4x400m Relay—holds a personal best of 2:15.80 from last year’s NCS Meet of Champions final. Berge has been a force in this event since her freshman year, and many young ladies are breathing a sigh of relief that she is finally a senior and will be graduating. Berge will be hunted by some excellent young 800m runners—led by Heather Donner of California High. Donner—the EBAL champion at this distance last year as a freshman—is the latest in a long line of fine two-lappers our of the San Ramon track powerhouse. She brings with her a PB of 2:16.58 and is noted as a gutsy competitor. Someone who has enjoyed a good 2010-2011 year is Acalanes sophomore Amy Hollshwandner. Hollshwandner ran a leg on Acalanes’ state meet-qualifying 4x400m Relay last spring, registered a fine 18:46 clocking at the state cross country meet in the fall, and blistered the track in the winter as she finished 9th overall at the state indoor meet in the 600 Yard Run. Her mix of speed and strength make her very dangerous at this distance. Speaking of speed, Jasmine Cunningham of Mt. Diablo brings a fair amount of that to Friday night’s event, sporting a 58.83 PB for the 400m from last year’s Stanford Invitational. Cunningham also ran well this winter, also qualifying for the state indoor meet in the 600 Yard Run. Two more ladies to keep an eye on will be Moore from St. Mary’s, who will be doubling back from the 1600m, and Monte Vista’s Mikaela Hammitt—a one-time state meet qualifier in the 800m—who ran a season best of 2:17.11 one year ago. This race might have the most exciting stretch run of the night—especially with College Park’s Ortolan and Miramonte’s Ashraf Mathkour going head to head once again. These two are familiar foes, with these two boys running to a virtual tie at last year’s NCS Meet of Champions 800m final (Ortolan was determined to best Mathkour after going to the thousandth of a second level on the clock). Mathkour held an advantage come season’s end, registering an impressive 1:53.68 clocking from the state meet prelims over Ortolan’s aforementioned 1:54.12. Both are known to be hard-charging finishers, and Mathkour has already notched a 400m PB this season at the Skyline Invitational (50.42). Also doubling back from the 1600m race will be Miramonte’s Fehrnstrom (1:58.71 last week), St. Ignatius’ Murphy, and Sacred Heart Cathedral’s Moore. These three guys will most certainly be in the hunt on Friday night under the lights, and if Ortolan or Mathkour are not on their best form, any one of these three guys could be there to clean up. The dark horse in this race (although he may not see himself as nothing short of a contender) is young gun Adler Faulkner of Acalanes. Faulkner is the heir apparent it would seem in the NCS 800m event. Holding a PB of 1:59.84 from his rookie season, Faulkner enjoyed a very strong fall campaign in cross country as a state meet qualifier and then rolling right into the winter and torching the track in the 550m Run at the Cal All-Comer’s in order to qualify for the state indoor meet in the 600 Yard Run. In that event, Faulkner rocked to a 2nd place finish overall and is looking like the hot hand coming into this race. He could be very dangerous. The meet record—set last year by Acalanes’ Toshi Kellogg—is a solid 1:55.73, but with this group on the track, you can count on it being in danger of falling. There are 21 girls in the fastest of three heats of the Girls 3200m. Is it any surprise that six of them are from Campolindo? Fresh off their Div. III State Championship title, the Lady Cougars look to continue their reign of terror in the longer distances at the Dan Gabor Distance Festival. Leading the charge will be arguably the most fearsome twosome ever to come out of Northern California—Carrier Verdon and Grace Orders. Both qualified for the state track championships one year ago (1600m and 3200m respectively) and they sport PBs of 10:42 and 10:44. Verdon was a state individual champion and Footlocker National finalist in the fall and Orders has signed a NLI to run for Vanderbilt next year. Yeah, they are fast…but not out of reach. Kelsey Santisteban—a recent signee for the Golden Bears of Cal—will be giving chase to the ladies from Moraga. Santisteban hammered the Woodward Park course in the fall, putting up a time of 17:30 at the state meet and capturing Div. I All-State honors. She is a sub-5:00 1600m runner and could be very tough to handle on the oval. Look for her to run tough from the gun, as she is the defending champion in this event. The last two people who could make up the front pack will be California’s Elaine McVay—a sub-11:00 3200m runner herself—and St. Mary’s Moore. Moore is entered in all three of these distance events, so we will see which ones she chooses to compete in on Friday night. McVay is known to really like to push things from the front, so you know she will be getting her hands dirty in this one. The meet record of 10:52.32 by California’s Colleen Lillig is certainly in peril with this crew on the track, so look for an electrifying display. This race could be one heck of a dual meet between Del Campo and Campolindo, with these two schools accounting for ten of the 30 finalists in the hot heat of the evening’s final event. Del Campo’s trio of Rushing, Nevins, and Pflasterer make up three of the top five seeds on the evening with only Castro Valley’s Ben Eversole (the defending champion in this event) and College Park’s Bickert breaking up the stronghold. Eversole, like his teammate Martore, had a busy winter and has showed good early season form in all-comer meets and at last weekend’s Mt. Pleasant Relays. He is a state meet veteran in cross country and track, and with this being his senior season, he is surely poised to do some damage. Bickert, who will presumably be doubling back from the 1600m event, is a tenacious competitor and has a dogged desire to win every race he enters. If he toes the line, consider him a threat. Other notables in this race include up-and-comers Thomas Joyce of Campolindo, Matt DeVries of San Ramon Valley, and Aidan Goltra on Las Lomas. Joyce wowed everyone at the CIF State Championships in the fall with his 15:31 clocking on the Woodward Park course. He was the DFAL Champion in cross country and will certainly be a factor in this race. DeVries looks to be the future of distance running at SRV, with the tough sophomore already looking like a seasoned veteran in his short stint as a high school harrier. He is definitely one to watch for the Wolves. And finally, it would be remiss not to mention the entry of Goltra in this event given that he is the hot-shot frosh in the NCS this year. He led his Knights squad to a fine season in cross country, culminating in a time of 16:03 at the state meet. He is an age-group athlete who has showed well so far in his prep career, and he will look to continue the good times with a solid race on Friday night. Best of luck to all 917 athletes competing on Friday night! She ran 59.18 last year but has a 58.24 PR from previous season. What do you think of the list? Any records that are not on the list and should be? Is there one record that stands above them all and it doesn't have to be the one that is ranked #1? Anybody missing from above lists? What is the most impressive performance to date? Want to send your F/S kids somewhere while the big dogs duke it out at Stanford? Come to SI on Saturday, March 26th for our new F/S Invitational Relays. The meet is limited to the first 18 teams, so get on it quick! What are the most impressive marks so far this season? Are there any marks missing from the above lists? Danny led the Sequoia HS boys' XC team to a CCS berth for the first time in 11 years this past fall. Head Coach Jim Tracy and the S.F. University Girls' Cross Country team were honored as the NFHS Section 7 Spirit of Sport Award Winners on Tuesday. The award, created to recognize those individuals who exemplify the ideals of the spirit of sport that represent the core mission of education-based athletics, marked the second year in a row that an NCS honoree has taken home the award that encompasses all of California, Nevada, Hawaii, Arizona and Utah. Congratulations to Coach Tracy and the entire cross country team! What is the single hardest workout you have ever done? Interesting thread (titled above) on www.letsrun.com that you can find at your own risk (adult language). Do you have a hard workout that you would like to add in the comment section below? Castro Valley High cross country and track star Kelsey Santisteban has signed a letter of intent with Cal. Santisteban visited Cal on the last weekend of January before visiting Loyola Marymount and USF. She narrowed her choices to USF and Cal before picking the Golden Bears. 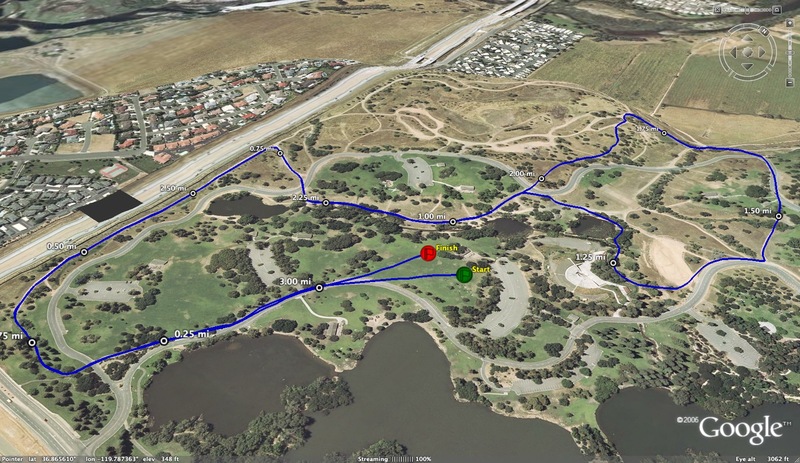 Last November, Santisteban became the first East Bay girl since 1989 to place in the top five in the California Interscholastic Federation Division I cross country championship race, as she finished fifth in 17 minutes, 30 seconds for the 3.1 mile Woodward Park course in Fresno. The senior also won the North Coast Section Division I cross country championship race in 18:00 for the 3.0 mile Hayward High course and a week earlier was victorious on the same course at the Hayward Area Athletic League championship race (17.49.1). If you know of any other similar training links, feel free to share the link in the comment section below. 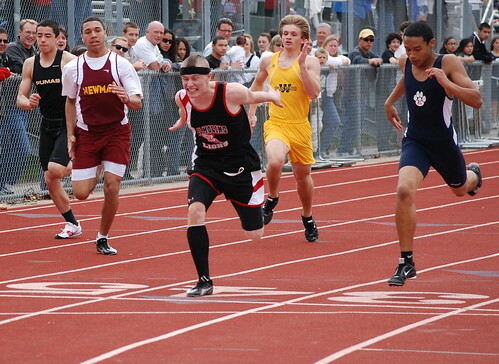 What is your race strategy when you run the 400 meters? How do you teach your runners to race the 400 meters? Do you take splits? 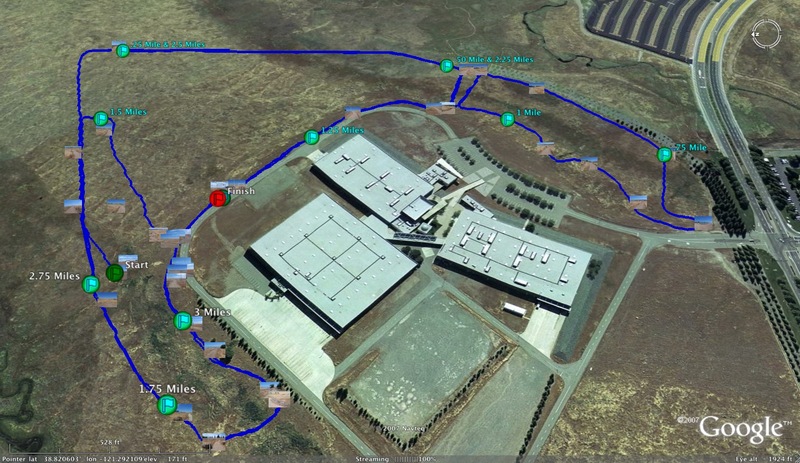 The Bay Area Running Camp will take place on August 1-5, 2011 at Woodside Priory School. From 8am-12pm each morning, we'll have a half day camp for middle and high schoolers, and from 5:30pm-8:30pm, we will have an adult camp for recreational runners of all levels. Coaches are also welcome to participate in the Coaches' Clinic during the youth camp. Youth or school teams bringing five or more athletes, or Adult groups of three or more receive a discount and a complimentary Coaches' Clinic registration. We will also have a limited amount of financial assistance available for youth campers. In addition to the curriculum and many other fun details, A PAIR OF NEW BALANCE SHOES IS INCLUDED WITH EVERY REGISTRATION. 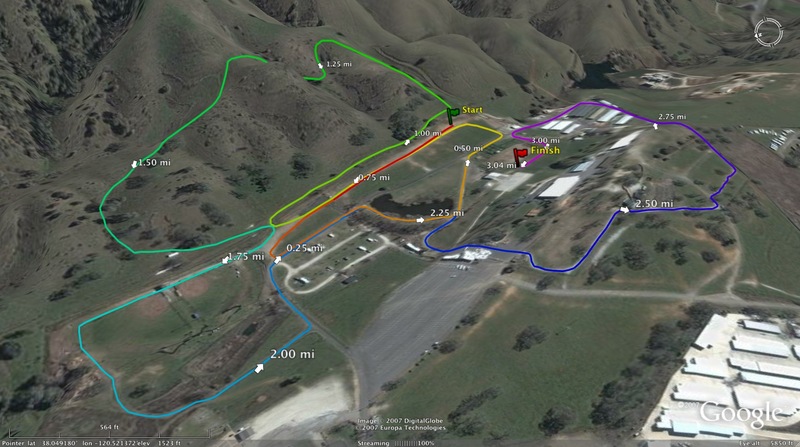 All the information is available at www.bayarearunningcamp.com, and you can reach the camp by emailing bayarearunningcamp@gmail.com. 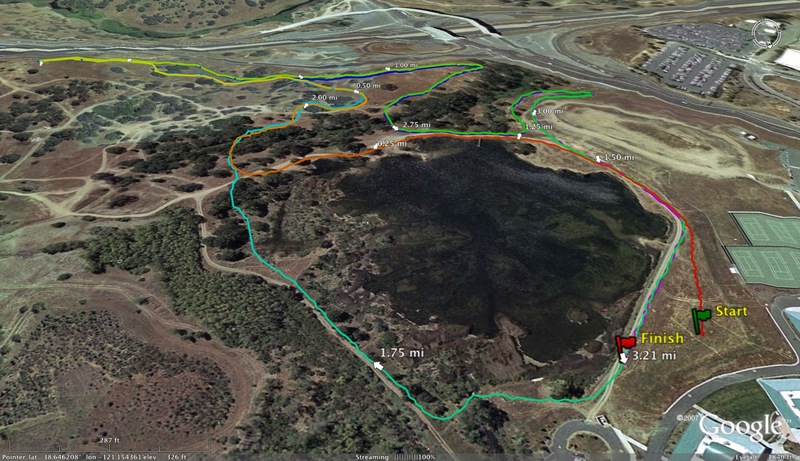 If you are a middle or high schooler looking for an affordable running camp experience on some great trails, or an adult recreational runner who would love to take a running retreat but don't have the time to get away, the Bay Area Running Camp might be for you. Check it out!